Periodontal disease may increase the risk of diabetes, heart disease, and dementia. 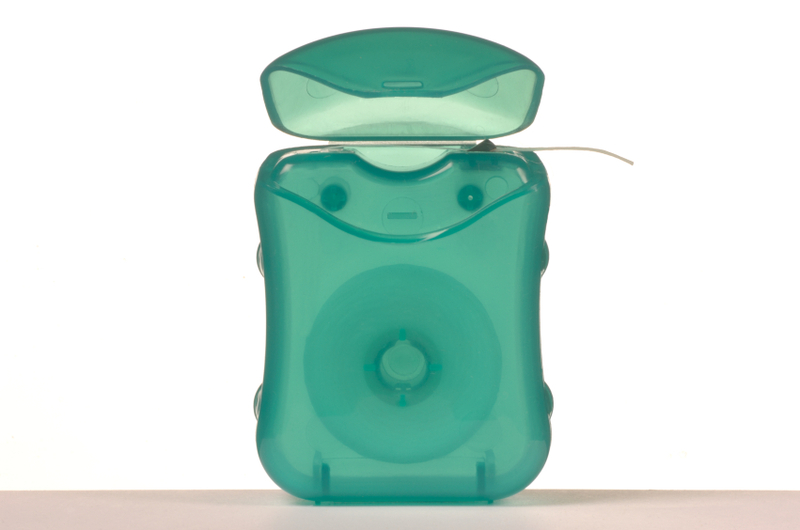 Regular flossing, along with brushing, are key in preventing periodontal disease. Periodontal disease (periodontitis) has long been known as the leading cause of tooth loss in adults. But the damage isn't confined to the mouth. Gum disease has also been associated with an increased risk of serious degenerative diseases. Like our intestines, our mouths house complex ecosystems of bacteria, known as the oral microbiome. And as in the gut, different types of bacteria compete for space. When all the species are in balance, the gums are protected from disease-causing bacteria. Disturbing this balance provides an opening for pathogens to invade, causing periodontal disease, which further disrupts the bacterial balance. Pathogenic bacteria initiate periodontal disease; however, they aren't the only—or even the major—culprits. "Yesterday we used to think that bacteria destroyed tissue; today scientists understand that it's inflammation caused by the bacteria that destroys tissue," says Dr. Thomas Van Dyke, chair of the Department of Applied Sciences at Harvard-affiliated Forsyth Institute. That is, the disease-causing bacteria trigger a response from the body's immune system, and the white blood cells summoned to eradicate them produce substances that not only destroy bacteria but also damage gum tissue. The effects of periodontal disease range from mild redness and swelling of the gums (gingivitis) to complete destruction of the tooth's bony support structure (advanced periodontitis), which is responsible for tooth loss. Over the years, people with perio-dontal disease have been found to be at higher risk for cardiovascular dis-ease, diabetes, chronic respiratory disease, pregnancy complications, and dementia. We don't yet know if periodontal disease actually causes other health problems, or if people with chronic health issues have more difficulty taking care of their teeth and gums. "It's an association, not a cause-and-effect relationship, says Dr. Van Dyke. "But inflammation, which plays a role in all these conditions, seems to be the link." Moreover, the association probably works both ways. For example, diabetes research has determined that successfully treating periodontitis reduces the severity of diabetes and vice versa. The following, which either help to prevent bacterial infection or reduce inflammation, are still the best ways to reduce your risk of gum disease. Brush and floss. Brush your teeth at least twice a day, and floss before bedtime. If you have bridges, implants, or wide spaces between your teeth, you may want to use interdental brushes—toothpick-like implements with tiny bristles at one end—to clear trapped food. Don't smoke. People who smoke up to a half a pack of cigarettes per day are almost three times as likely as nonsmokers to have periodontitis; those who smoke more than a pack and a half of cigarettes per day have almost six times the risk. Eat a healthy diet. A diet rich in vegetables and vegetable oils, fruits, legumes, nuts, and fatty fish not only provides all the essential nutrients, but it helps suppress inflammation. There is some evidence that people whose diets are high in omega-3 fatty acids, which are found in fatty fish, have a reduced risk of periodontal disease. Have regular dental check-ups and cleanings. Your dentist or dental hygienist can remove bacteria-harboring plaque and spot the first signs of periodontal disease. Get treatment at the first signs of gum disease. Swollen, bleeding gums; pockets of pus; or gums that have pulled away from your teeth are the most dramatic signs of periodontal disease. Subtler changes, such as widening spaces between your teeth, and bridges or partial dentures that don't fit as well as they once did, may also signal periodontitis. Today's approaches to treating periodontal disease are directed at eradicating the bacteria that cause it with antibiotics and through scaling and root planting—a procedure in which a clinician uses tools to scrape bacteria-laden plaque from the surfaces and roots of teeth. Tomorrow's therapies are likely to involve more targeted approaches. Scientists have identified the 700 species of bacteria that inhabit our mouths, presenting the possibility of probiotic therapies that prevent harmful bacteria from getting a foothold. Research may also yield a new generation of therapies that wind down the inflammatory response rather than inhibit it completely, and thus may have fewer side effects than current anti-inflammatory medications do.